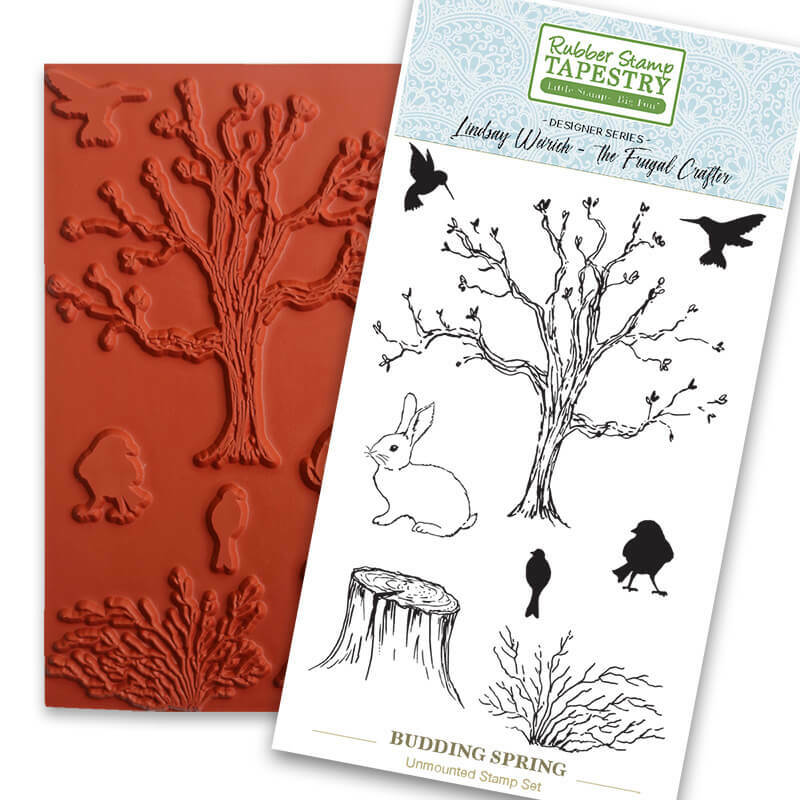 This limited edition designer series unmounted stamp sheet is 3 3/4" wide x 5 1/2" tall sheet of unmounted rubber stamps features a budding tree, birds, rabbit, shrub, and stump hand-drawn by Lindsay Weirich the Frugal Crafter. The largest tree is 3 3/4" wide by 3 1/4" tall; the right hummer is 1/2' wide by 12/16" tall; the right hummer is 14"16' wide by 10/16" tall; the bunny is 1 1/4" wide by 1 6/16" tall; the bird from back is 1/4" wide by 12/16" tall; the standing bird is 10/16" wide by 12/16' tall; 1 10/16' wide by 1 2/16" tall; the shrub is 2" wide by 1 1/4" tall. With this order, I have all the stamps you have created. Stamping with them is so awesome. The stamping is crisp and clean. Thank you for coming up with these creations. 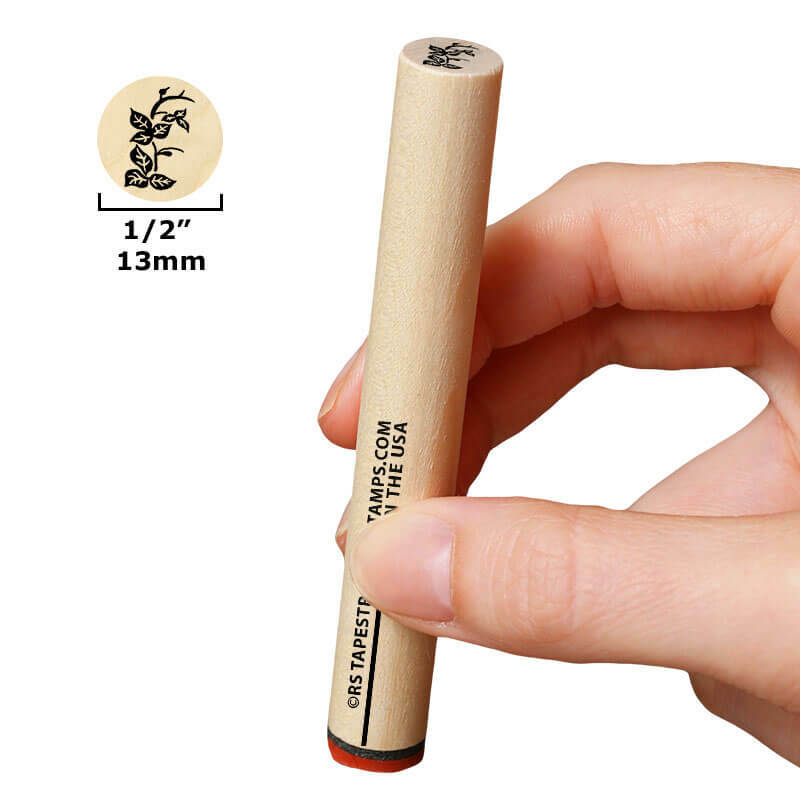 I also enjoy the stamps from Rubber Stamp Tapestry. Great company!